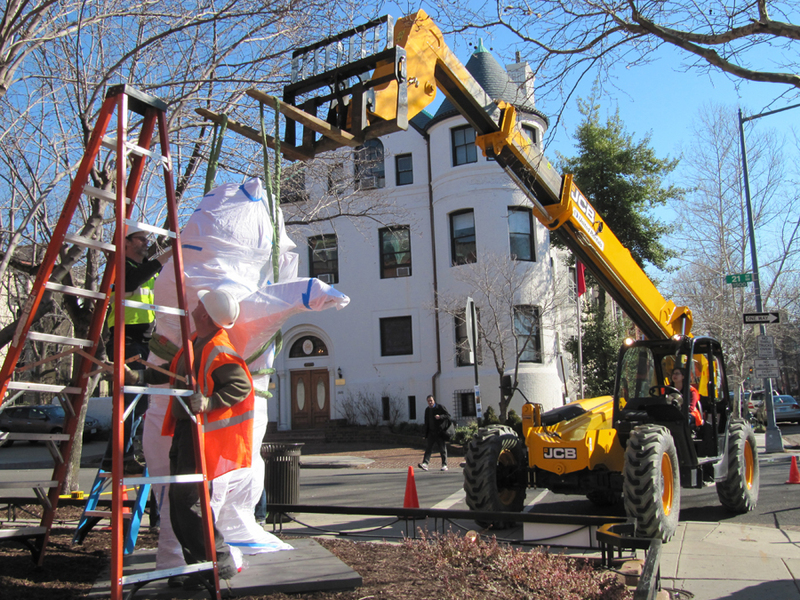 Sunny skies and relatively warm temperatures Friday helped make for a smooth de-installation of Xavier Veilhan’s The Bear sculpture from the plinth at 21st and Q. 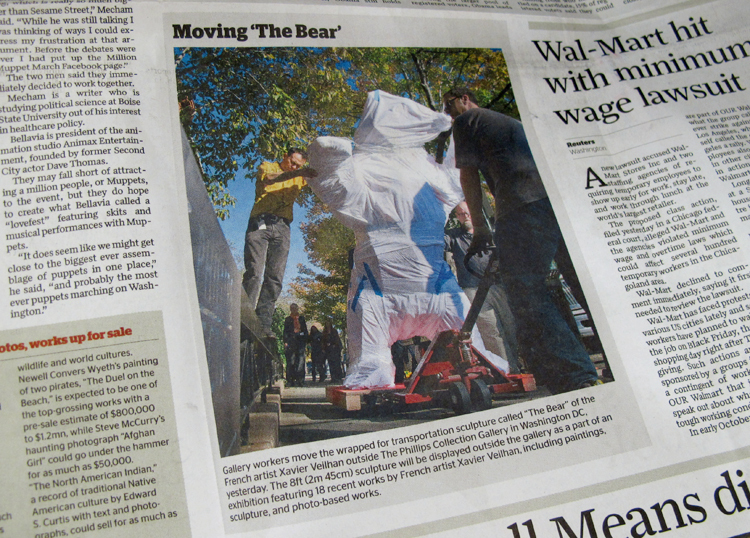 The Bear will now begin a long journey back to it’s permanent home in the Northwest. 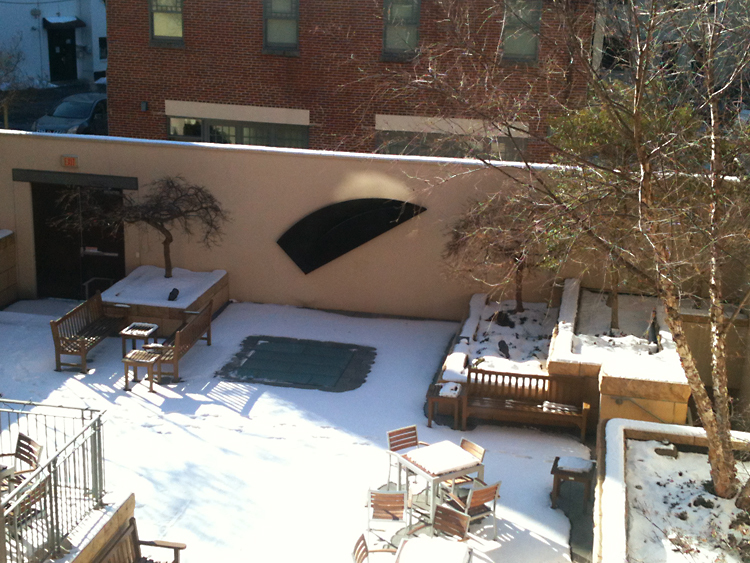 During his time here, the Bear cheerfully welcomed visitors to the Phillips – we are a little sad to say goodbye. 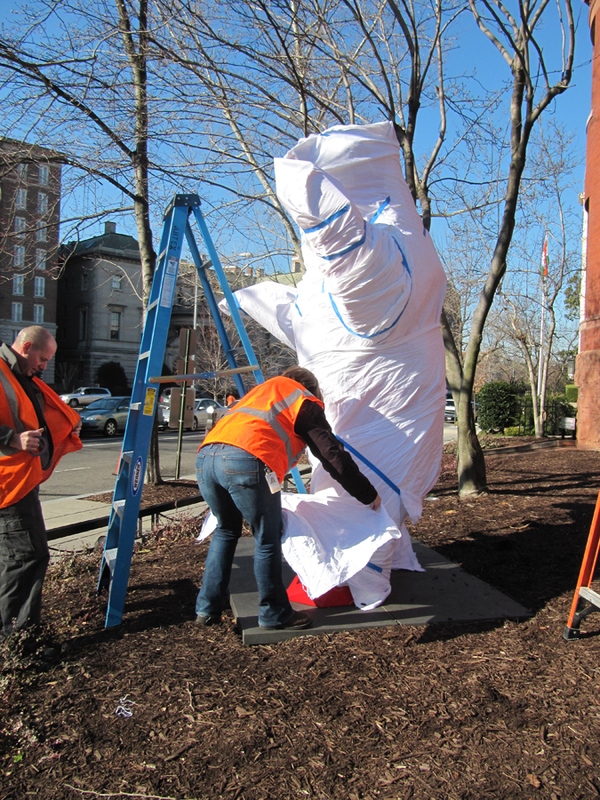 Protecting the Bear with layers of soft cotton cloth. 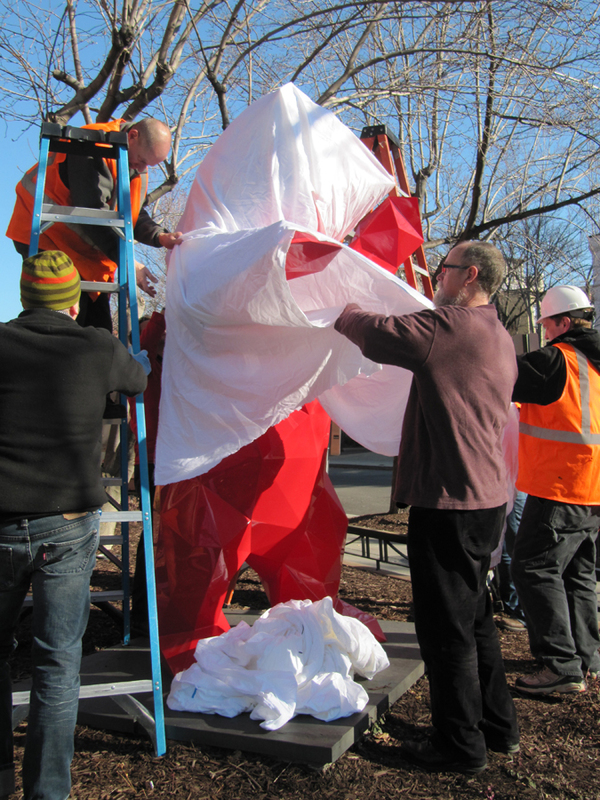 Preparing to lift the Bear from its base. From the Gulf Times newspaper, Tuesday, October 23, 2012.